Chris Wilde serves as Executive Vice President, Enterprise Chief Financial Officer at Navicent Health where he will lead efforts to ensure the financial stability of the organization. Mr. Wilde has served as a Chief Financial Officer in healthcare since 2003. Most recently, he was with Children's Healthcare of Atlanta, one of the largest freestanding children's hospitals in the nation where he served as the Chief Financial Officer over clinical operations and as Chief Transformation Officer. 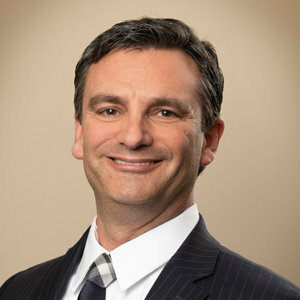 In addition, he possesses a unique blend of operational, quality improvement, and information technology experience from his 25 years of healthcare and other professional roles. This gives him operational insights that will serve well in collaborating with Navicent's leaders. Chris received his Bachelor of Science in Business Administration from UNC-Chapel Hill and obtained his CPA License from the State of North Carolina.